WEST SACRAMENTO, CA - In another one-run game, the Sacramento River Cats (54-81) came out on top, taking down the Albuquerque Isotopes (61-74) 2-1 after a pair of late-inning runs. Sacramento starter Tyler Herb struck out seven batters and allowed just one run on four hits in a dominating start. The right-hander tossed a season-high seven innings and worked extremely quickly in what was the River Cats' shortest game of the season at two hours and nine minutes. The River Cats would tie things at one when Peter Bourjos smacked an RBI single to right in the sixth inning. Chris Shaw would later give Sacramento the lead with a monster solo home run to center field in the seventh which would prove to be the winning run as the River Cats would go on to close out a 2-1 victory. In the final home game of the season the River Cats will send right-hander Shaun Anderson (2-2, 3.61) to the hill. The Isotopes will counter with fellow righty Jeff Hoffman (6-8, 4.69). First pitch is set for 7:05 p.m. (PT). Catch all of the action live online at rivercats.com, on the MiLB First Pitch app, and on the air on Money 105.FM. 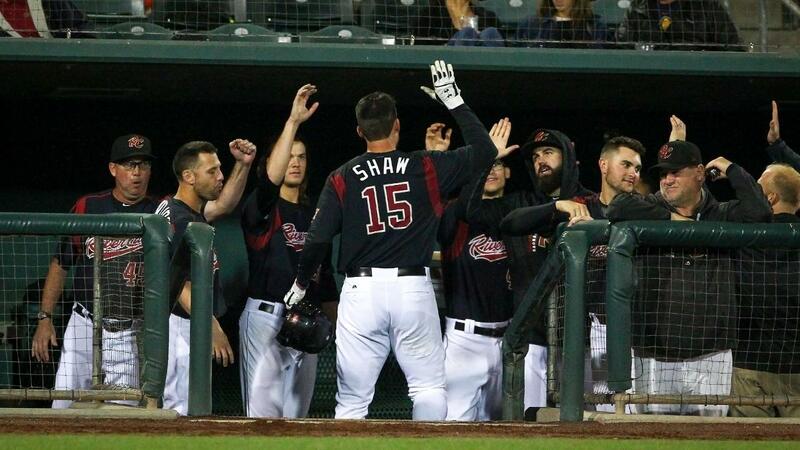 • Shaw's mammoth home run to right-center field traveled 458 feet and is the third-longest home run hit by a River Cats batter at Raley Field. Shaw has hit two of the top three farthest homers hit, with the longest coming from Chase d'Arnaud (464 feet). • With a pinch-hit double in the eighth inning, Brock Stassi has now reached base safely in all 16 games that he has played for the River Cats.